Item # 307698 Stash Points: 499 (?) This is the number of points you get in The Zumiez Stash for purchasing this item. Stash points are redeemable for exclusive rewards only available to Zumiez Stash members. To redeem your points check out the rewards catalog on thestash.zumiez.com. Bring a little extra heat to any personalized look with Moodswing's Lit Enamel Pin. 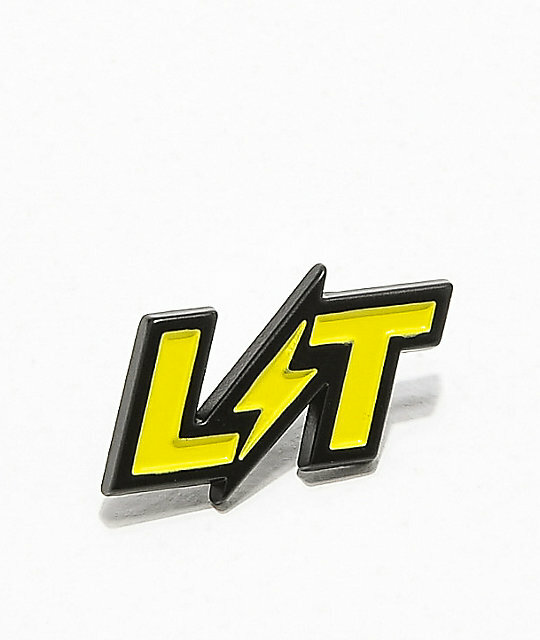 This fairly small pin comes in a yellow and black colorway and showcases the word "LIT" with the "I" in the middle formed as a thunderbolt. Lit Enamel Pin from Moodswings. Single pin clasp on back. 0.75" x 0.5" | 2 x 1cm (approx. ).